BMW e28 Alpina is the car that replaced the E12 body. E28 had more engine variants and little external differences in design. 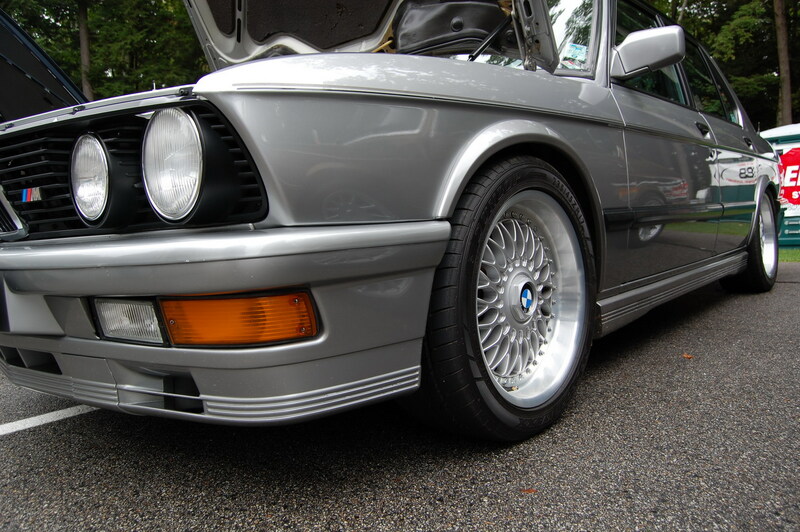 E28 first appeared in June 1981. He had four engine variants, including the first BMW diesel engine. 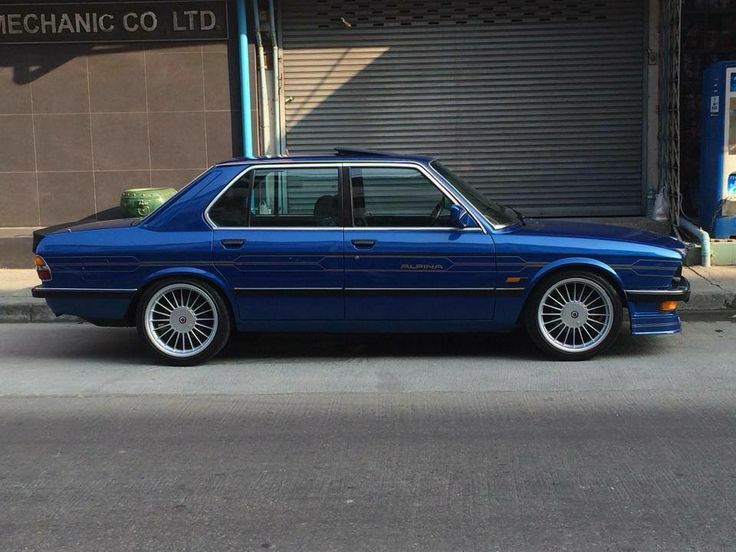 The most remarkable E28 models appeared in 1985. One of them was the model M535i with the engine of 6-7 series, the sport suspension of BMW Motorsport and the Recaro seats. 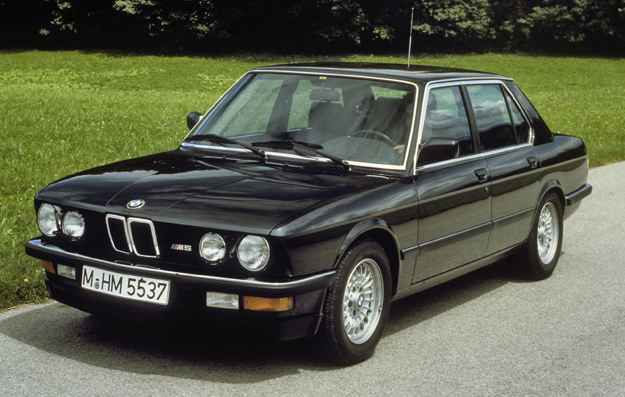 The second was the M5 model with a sports engine S38 with two camshafts, 24 valves, a power of 286 hp. and a modified braking system. E28 was the latest model with a “shark” muzzle. 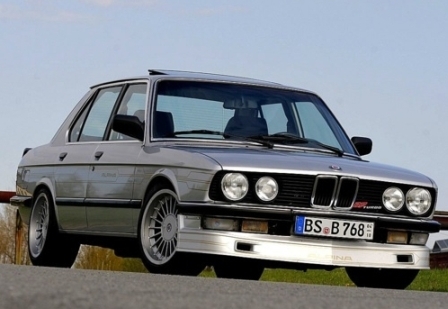 It bacame the basis for the first 6-series BMW in the body of the E24. 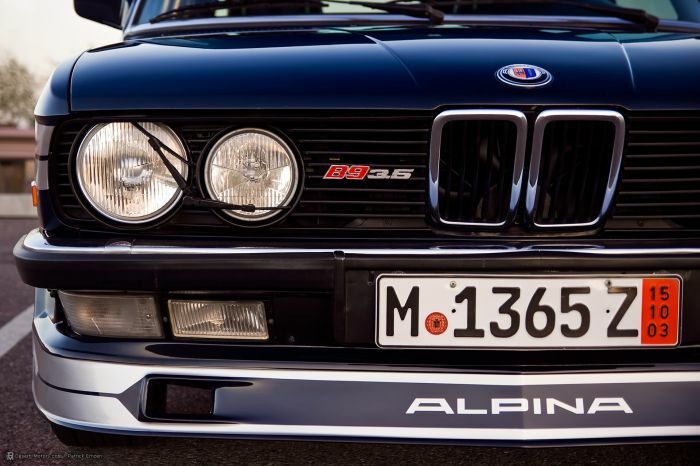 Among the BMW e28 Alpina range, the most powerful was the 528. Alpina decided to release a car with the maximum possible at that time engine capacity. Therefore, 2.8 liter engine was replaced by 3.5 liter engine. The M30B35 produced 218 hp from the plant, but after upgrading from the Alpine the power increased to 245 hp. and dispersal to a 100 km/h took 6.7 seconds. BMW with this package of improvements was called Alpina B9. Also, in addition to the engine, some suspension parts, brake system, and branded wheel disks were replaced. 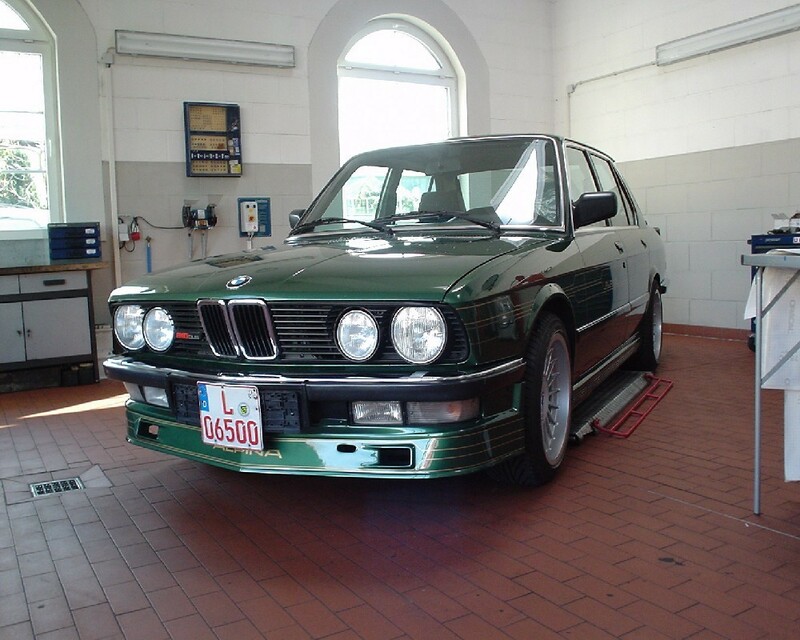 In 1985, the Alpina E28 B9 was upgraded and the updated model got the B10 index. The engine as a whole remained the same, but thanks to small adjustments the power increased to 261 hp. In this case, it was possible to order a car with a catalyst and without, with a five-speed manual gearbox or with an automatic gearbox. 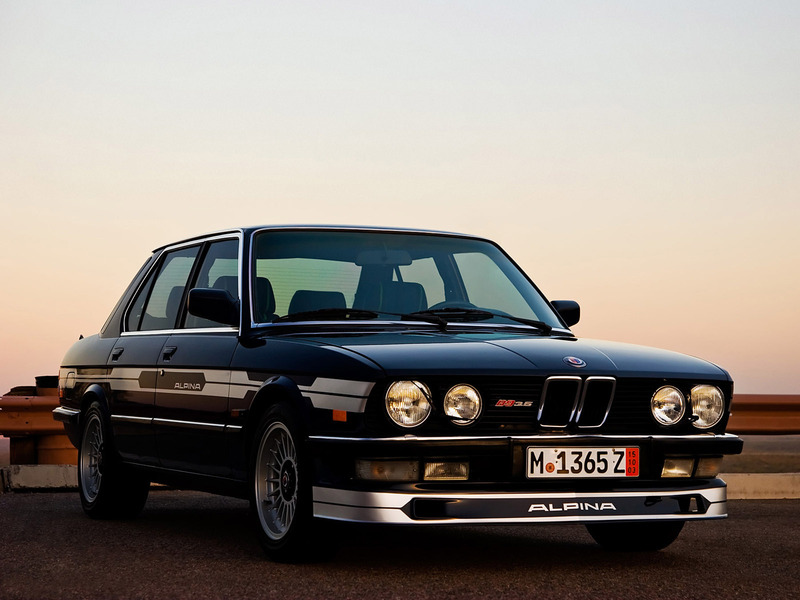 In 1985 Alpina B7 Turbo appeared for fans of extreme sports. The model was based on the B9, but the 3.5-liter engine received the turbocharger KKK K27 and the power increased to 300-hp. and 501 Nm., and with the catalyst 320 hp. and 509 Nm. This was because the boost ratio was increased with the catalyst. Alpina B7 Turbo could become more powerful, but the manufacturer did not want it to compete with the more powerful and expensive e24. In 1987, the production of BMW e28 Alpina was discontinued. In total less than 1,000 copies were produced. The Bavarian company BMW was established in 1916. 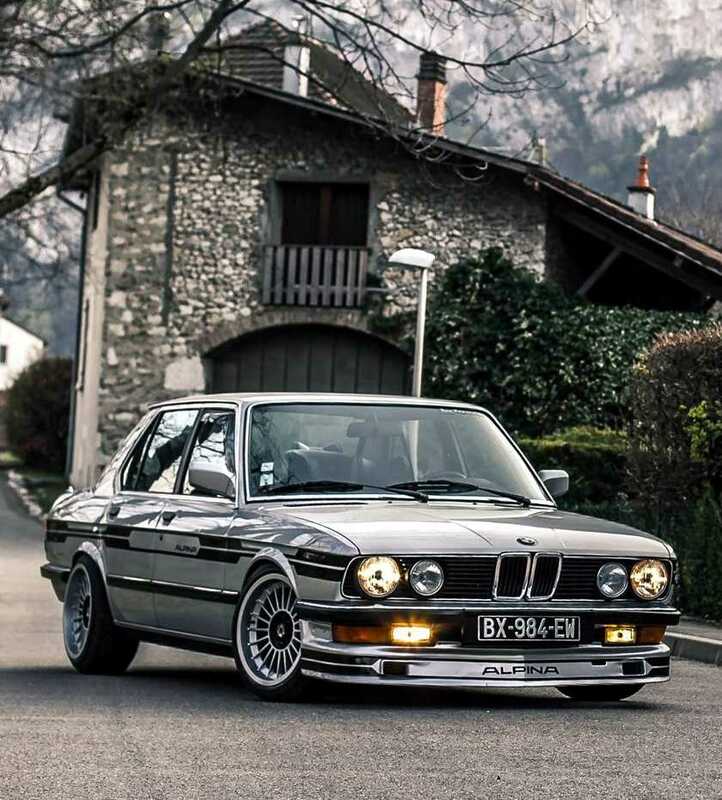 Today it is a world-famous producer of passenger and sport cars of different classes, for example BMW e28 Alpina. The BMW car family consists of popular off-roads, luxury sedans, business-class vehicles, sport coupes and roadsters, along with compact and mid-size sedans, station wagons or hatchbacks. The BMW vehicles are known for their true German reliability and longevity. 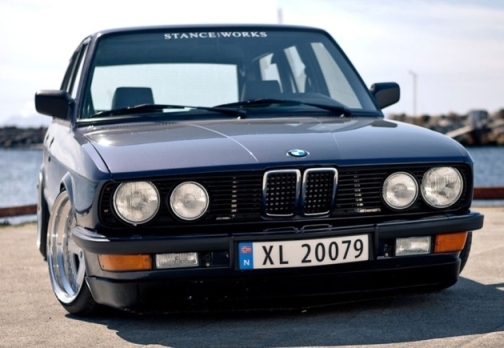 This review deals with BMW e28 Alpina. 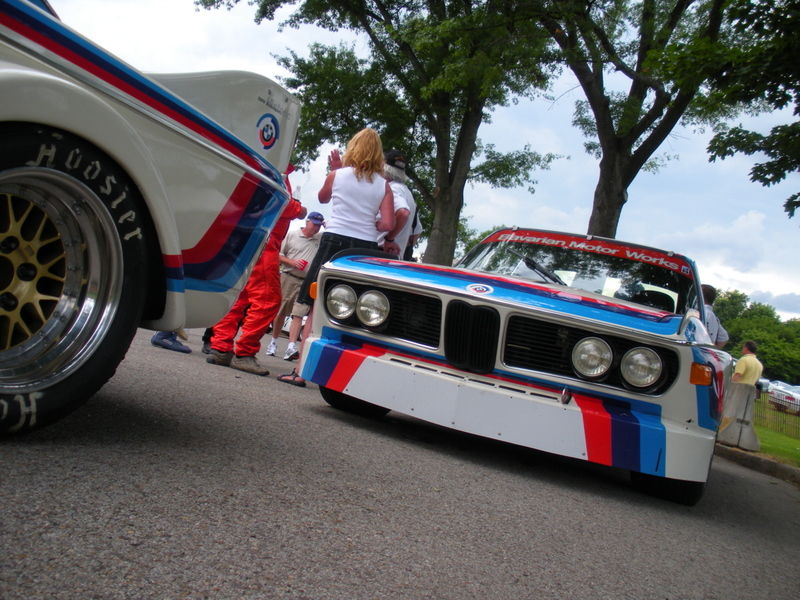 See photos, video of BMW e28 Alpina on the website LookAtTheCar.org.